Ironically, it is jumping genes that indicate the need for a reorganization of the kangaroos' phylogenetic tree. 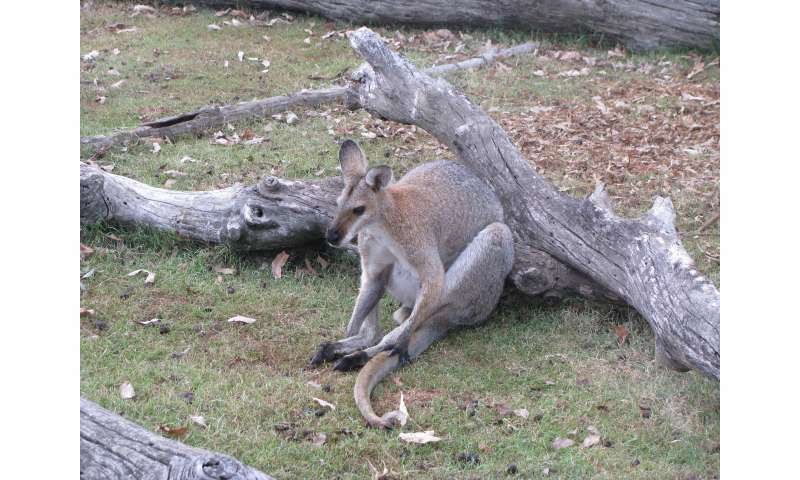 According to a new study by a Senckenberg scientist, published recently in the journal Scientific Reports, the swamp wallaby is more closely related to the remaining wallaby species and the large red and grey kangaroos and wallaroos than previously assumed. 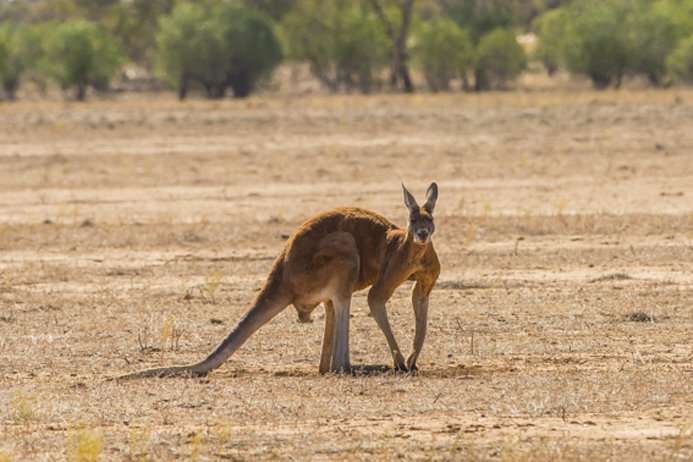 Together with her Australian colleagues from QUT in Brisbane, the researcher was the first to examine the relationships within the kangaroo genus Macropus on the basis of retrotransposons, genes that literally jump across the genetic material. Like their larger relatives, the kangaroos, the smaller wallabies are an iconic part of the fauna "down under." Even the Australian National Rugby Team is named after them. However, one wallaby stands out among the rest – the swamp wallaby. It is the only marsupial that is able to switch to "turbo speed" during reproduction, becoming pregnant again before giving birth to the first set of offspring. 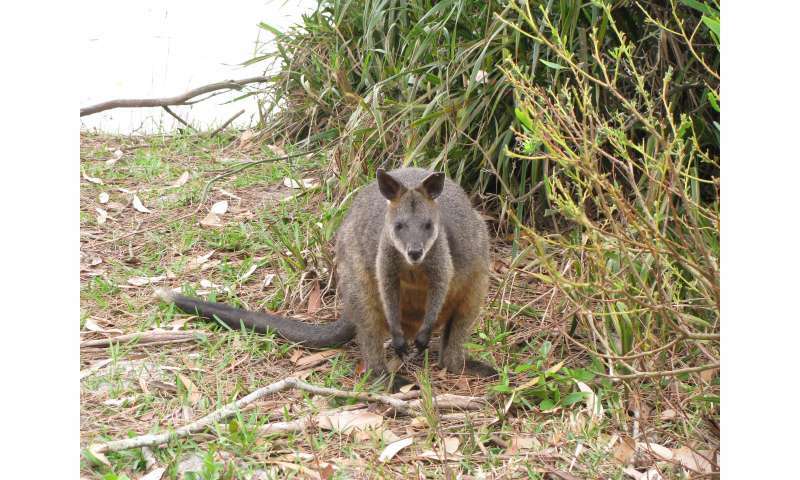 The animal, which is widespread on the east coast of Australia, also differs from the other wallabies in its appearance, e.g., the shape of its teeth and its more crouched hop. Until now, the swamp wallaby was placed in its own genus, Wallabia, which only comprises one single species. However, this outsider role is actually not justified – as recently shown by the molecular-genetic studies at the Senckenberg Biodiversity and Climate Research Centre. "At the genetic level, the swamp wallaby does not represent a sister genus to the other wallabies, but it belongs to the genus Macropus, like all remaining wallaby species. Thus, it is not only more closely related to the other wallabies than previously thought, but also to Australia's icons, the large red and grey kangaroos and the wallaroos," explains Dr. Maria Nilsson, head of the study. Of all things, it was retrotransposons – genes that literally jump across the genetic material – that shed new light on the relationships among wallabies and kangaroos. These mobile genetic elements are able to make copies of themselves and reinsert these at a different location in the genome. If they occur in the same areas in different species, these species have a common ancestry. Nilsson elaborates: "Therefore, such jumping genes are also referred to as molecular fossils, which allow inferences on the phylogenetic history. They occur in almost all organisms; due to their properties, they have gained an increasing importance in evolutionary research in recent years." According to the analysis, the modern subgenera of the kangaroo genus Macropus as well as the swamp wallaby subsequently evolved from a common ancestor approximately five to seven million years ago. During this time period, the forests in Australia began to open up, many later being replaced by spreading grasslands. This habitat was colonized by new species of large red and grey kangaroos and wallaroos. "The wallabies and the swamp wallaby arose at a later date, and they inhabit woodlands," says Nilsson. Even in this genetic analysis, the swamp wallaby retains a special status. Although it now falls within the genus Macropus, it constitutes a subgenus within it – and, not surprisingly, this subgenus only consists of one lone species. The research also still leaves some mystery to be solved as fellow researcher, Matthew Phillips, Associate Professor at the Queenland University of Technology points out in conclusion: "Although we show that the swamp wallaby clearly falls within Macropus, we also found some evidence for a small portion of it' s genome being a relic of an ancient, now extinct kangaroo. It might be interesting to investigate this further."